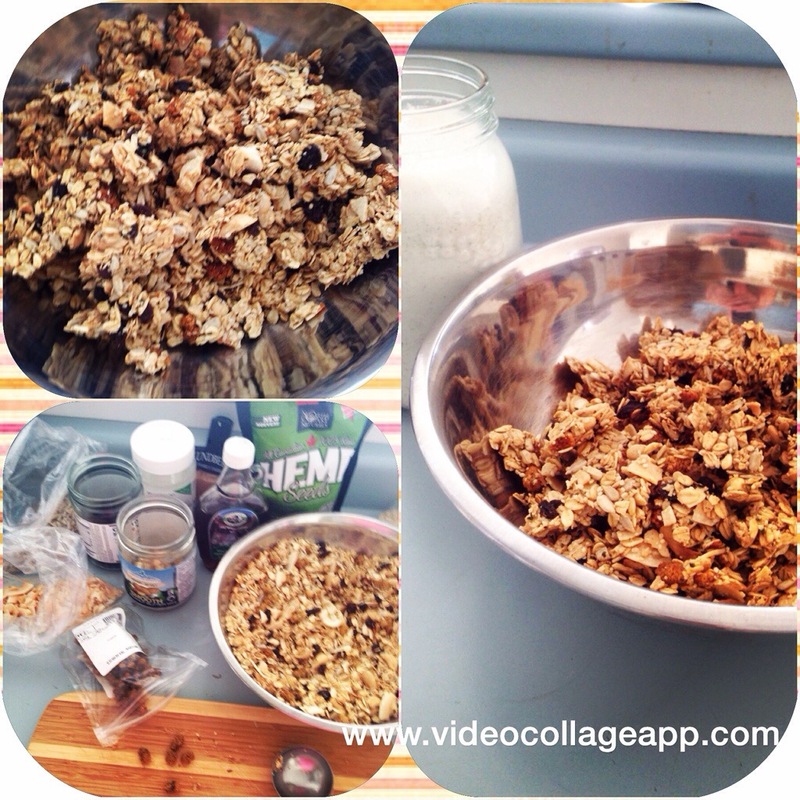 Start Your Day With This Homemade Granola! I’ve been wanting to make my own granola for a while now.. This is my version. For the most part I usually play around with the ingredient ratios..so feel free to adjust the amount of nuts, seed and dried fruits. Spread the Mixed granola onto a parchment lined baking sheet; place in oven and turn down oven temp to 150 degree and bake for 35-40 mins – Depending on oven.. make sure to check granola as it is baking and mix well to get a good even bake on it. Have fun with this recipe. Add your own variety of nuts, seeds and chopped dates.. YUMMY!! ** I get most of my bulk Ingredients listed above from Raw Elements. This looks like an amazing recipie. Try it out!! It’s from my good friend of Holistic Beauty Lifestyle. She gas many useful health and natural beauty tips on her site!